Building Since 1983 Gary has been a Builder in Geelong for 25 years. Gary first pursued interests in the Building Industry in 1979 when he first started a carpentry apprenticeship. He has grown from being self employed with renovations and extensions. Moving forward to 2-3 new homes per year and then expanding into a new homes franchise. Being involved in a franchise gave the husband and wife team the training and knowledge which lead to Signature Homes starting in 2005. 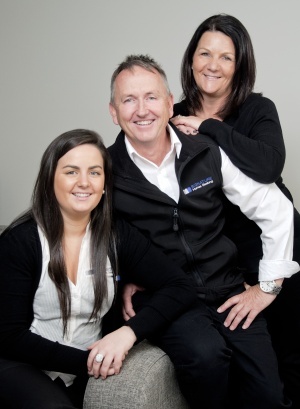 The Watts family values honesty and treats every project with the same care as if it were their own dream home. Signature Homes Geelong has achieved an excellent reputation as a high quality builder of new homes. The level of service provided, quality of home and personal approach is what has made the business stand out from its competitors. Signature Homes Geelong are custom design professionals , building architectural homes in the Geelong, Surfcoast and Bellarine region. Gary Watts Says, “We don’t just build homes; we help people achieve their dream home. Every home we build is unique; start with a blank canvas have your home custom designed to suit you”. If you are thinking of building, please have a conversation with Signature Homes. They will provide you with honest feedback and service you deserve. Feel free to contact Signature Homes to arrange a time to view the extensive portfolio of custom designs. From here, sit down with their architect to see how you could work together.